The start of Day 1 of the Raid International Gaspésie was given this morning at the Grottes de Saint-Elzéar located north of the picturesque town of Bonaventure where a surprise was expecting the teams on this second day of face: one member per team had to go down in a cave in order to recuperate their punch card before the official start that was given at 10:00 am. 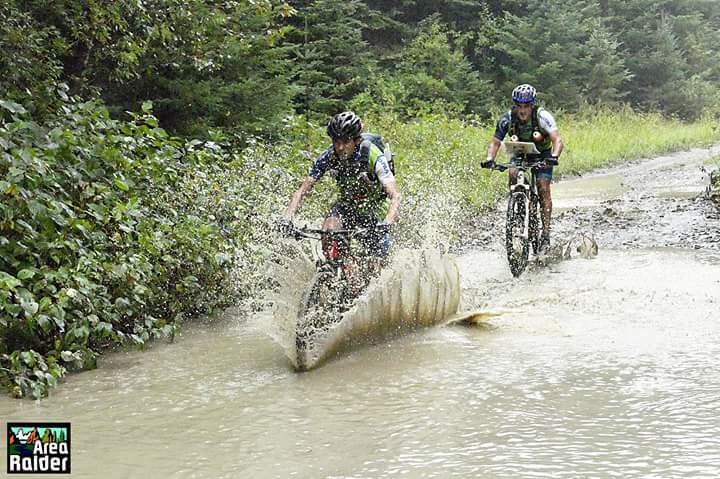 The racers have then ride a very technical and slippery bike course before crossing the Robidoux Lake swimming. 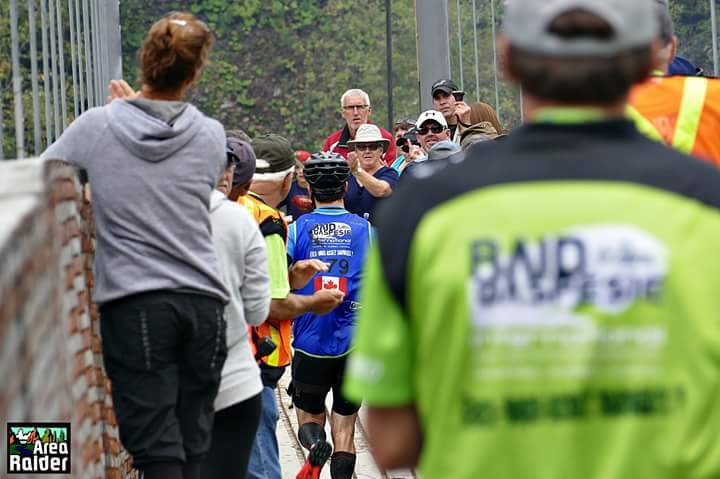 A crowd was expecting the racers on the pedestrian bridge over the Bonaventure River, among them almost all the kids of Saint-Alphonse primary school Aux Mille-Ressources. Fresh salmon cooked in a traditional way was also served there to the public and the racers, something that was really appreciated! 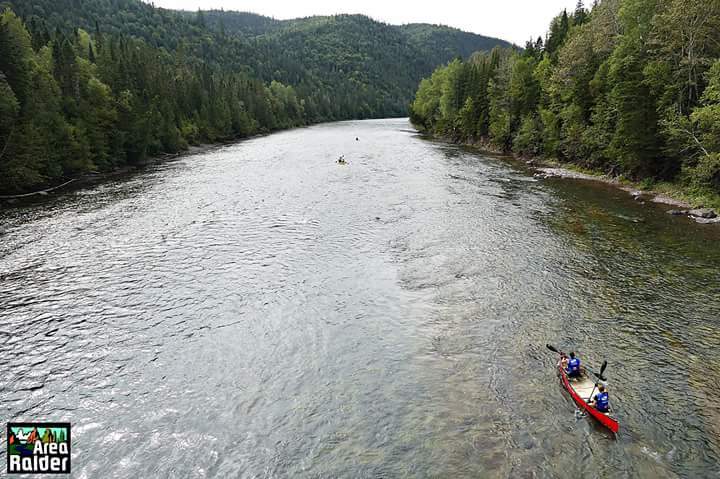 A zip line crossing the river was waiting a racer per team at the Club de pêche au saumon Le Canadien, that was also the mandatory campsite for everyone. A private camp that had always, before that year, been reserved for its members since its opening 115 years ago. It was a very long day for all the team, many of them finishing after dark. The Club de pêche au saumon Le Canadien had never been so animated in all its history, 64 tents and assistance car occupying the area. The teams could finally relax around a good meal prepared by their assistants that also had a very busy day! At the end of the Day 1, the first three positions overall for the 300 km, was detained by Estonian ACE Adventure (Timmo and Joosep Tammemäe) that keeps the first position, Azimut Espresso Sport (Lyne Bessette, Dany Déry-Chamberland, Benoit Simard and Martin Hardy) did not miss a control point today and could then take back the second place, followed by the local team Subaru New Richmond / La Vie Dehors(Robin Lever and Antoine Richard). 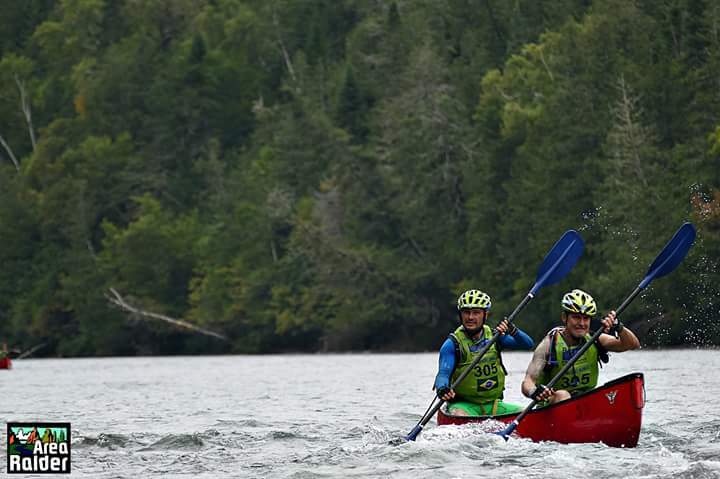 For the 150 km, teams Paysage Navigue.com (Marc-André Toupin, Benoit Poirier, Jean-Sébastien Babin and Louis-Gabriel Pinard) and Intersport Carleton(Keith Sexton and Joël Poirier) keep their first and second positions while the female duet, team Rhéal Pitre Sport/Clinique vétérinaire de la Baie (Audrey Bastien and Marianne Desrosiers) that arrived in the third place overall during the prologue, was passed by another local female duet : the Chèvres Raid/Aux 4 Vents (Marie-Eve Poirier and Christine Bérubé), who arrived few minutes before them. 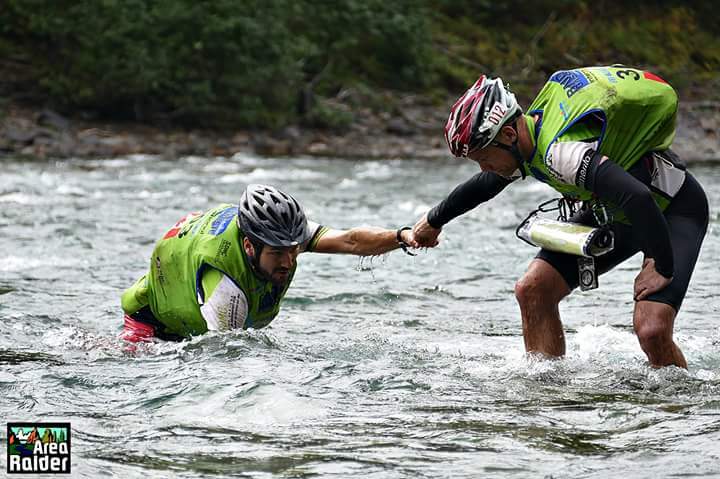 Two different starts will take place tomorrow: the 300 km at Farm Lake and the 150 km at the Saint-Edgar bridge. ← CORSICA RAID AVENTURE 2017… NEED MORE ADVENTURE ?